The Miss Earth 2017 pageant have crowned its winners at Mall of Asia Arena in the Philippines, Saturday, November 4, 2017. 80 beautiful ladies from all over the world compete for the coveted Miss Earth 2017 title. 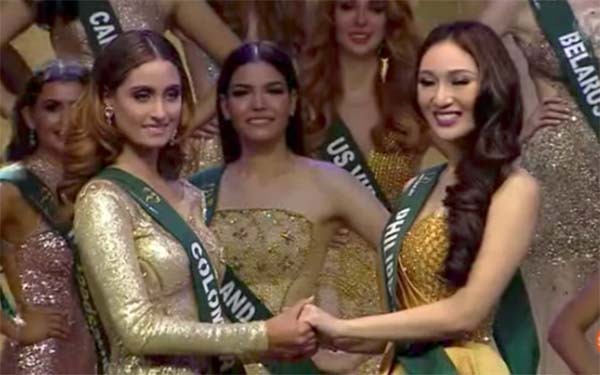 Miss Earth 2016 Katherine Espín of Ecuador crowned her successor at the end of the pageant night. Winners of the Miss Earth 2017 beauty pageant are: Miss Earth Air: Miss Australia Nina Robertson; Miss Earth Fire: Miss Russia Lada Akimova; and Miss Earth Water: Miss Colombia Juliana Franco. Did you missed the Miss Earth 2017 grand final competition and grand coronation night? Watch the highlights and full replay video below.